Internet, Data Privacy, and Intellectual Property Lawyer John DiGiacomo of RevisionLegal.com is back for the fourth and final part of our series on legal issues. So far, we’ve covered trademarks and patents, as well as the GDPR, and today we’re wrapping up with a grab bag of legal questions to round out our series. Listen in to hear John’s insight and advice on a whole random host of legal issues that affect ecommerce entrepreneurs. The two biggest issues that open sellers up to a lot of exposure. How to deal with cybersquatting. 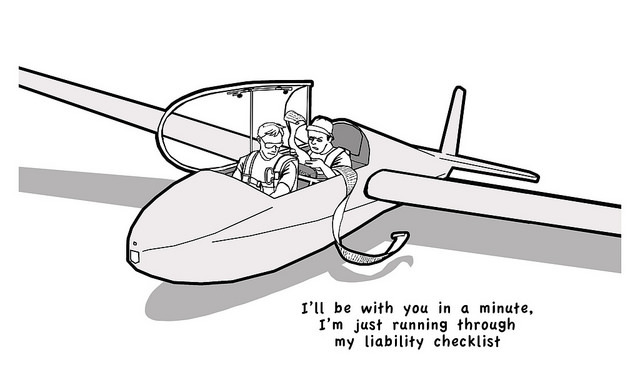 Major things that should go on your policies page to protect you from obvious liabilities. How to protect yourself as an owner if you fire someone. Hey, guys Andrew here, and welcome to The eCommerceFuel Podcast. So good to have you with me for our final part on legal issues with John Di Giacomo from revisionlegal.com. John is an IP and internet lawyer, and so far in our series, we’ve covered Part 1 about patents, Part 2 about trademarks. We did deep dives on each of those. And today, wrapping up the series, wanted to do kind of a grab bag of different legal things I was just curious about, given that I’ve got a smart lawyer who’s not billing me that’s willing to talk to me on the podcast. And so, we talk about a lot of different things. We talk about the biggest exposure points that most sellers have. We talk about if it’s legit, if it’s legal, to be able to bid on your competitors or other brand names in PPC with Ad Words, Facebook and Amazon. We talk about Internet map pricing, cybersquatting. If you have a domain you’re going after that somebody else is squatting on for your business, how, you know, how can you get that? Do you have a legal standing to try to get that back? We talk about the unfortunate circumstances when, if you do have to fire someone, how you can cover yourself as an owner and make sure you’re not gonna on the end of a unfair lawsuit. And we talk about all sorts of different things, so it’s a fun episode with this. Kind of all over the board, but hopefully useful for you as a store owner. But before we jump in, wanna give a big “Thank you,” to our two sponsors of the show, first, Klaviyo, who makes email automation easy and powerful. If you wanna up your email game, make more money with your efforts, these are the guys you’re gonna wanna use, first and foremost, because they offer a higher level of segmentation for building out your flows than anyone else. You can segment based on how much a customer has purchased. You can segment based on what products they have purchased, what products they haven’t purchased, or what site, you know, what pages they’ve seen on your site. You can set up a crazy number of highly specific email flows that go out automatically. They have an incredible Facebook integration, a visual flow builder to build complex campaigns easily, and advanced reporting that show you what’s working and what’s not. So, if you wanna get more out of the email work that you’re doing and you’re not using them, check them out ecommercefuel.com/klaviyo, to get start with a free trial. Secondly, we wanna thank the team at Liquid Web, who offers world-class web hosting for your WooCommerce store. These guys are phenomenal. So, before we signed the paperwork to have them be sponsors, I reached out to all of my friends who are very, you know, super WordPress and WooCommerce geeks, and I think the best possible sense, you know, multiple people. These are people that live, breathe, and eat it, and I get nothing but glowing reviews about Liquid Web and their team from them. My own personal WooCommerce and WordPress expert who did a lot of the migration for me to their platform, because I use them, he loves how automatically updates are done for WooCommerce and WordPress. 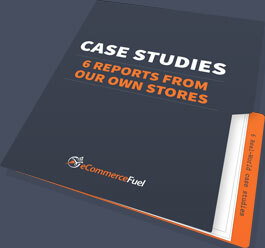 He noted that our performance on the eCommerceFuel directories once we moved over, increased dramatically. Loves the way that you can administer and create sites among many other things. So, it’s a killer platform, if you’re on WooCommerce. Their whole hosting environment is optimized to make your WooCommerce store rock solid and scream, in terms of performance. So, you can learn more about them, check them out at ecommercefuel.com/ liquidweb. All right, let’s go ahead and jump in to my discussion with John on a whole random host of legal issues. Andrew:I wanna talk a little bit about China. You know, traditionally, I’m speaking broadly here, there’s definitely people, firms and individuals of course, that are pretty stringent with IP laws there, but let’s say in general, if I were to generalize, China does not have the best reputation in terms of IP protections, lax oversight of attorneys. It’s a foreign country too, especially compared to the U.S., so that’s an issue. But is the government starting to take it a little bit more seriously in terms of IP protection is not only just for, you know, for maybe domestic producers and IP holders, but for, in terms of international trade and commerce? John: Yeah, I think the Chinese government is starting to take a second look at how they’re going to deal with intellectual property rights. My partner, Anderson, used to work at the Hong Kong copyright office. So he, you know, obviously, Hong Kong is a different market than mainland, but his perspective has been that China is, you know, like any other emerging nation, is starting to take the stuff more seriously, so they’re starting to act at it. Our Chinese counsel says the same. And usually, what we’re doing is if somebody has a Chinese counterfeiting problem or something along those lines, we work directly with Chinese counsel to try to stop those issues, do trademark registration, copyright registration, and potentially, patent registration in China. Copyright registration is actually very powerful in China, and the exportation of goods can oftentimes be stopped through a copyright registration in mainland China. And then there are also ways to deal with those problems within the United States, whether through ITC, or through Customs and Border Patrol, which we get involved in on a pretty regular basis. Andrew: All I can think, they’re just kind of something random if I could, just a grab bag of legal questions to round out our series with you, John. What is the number one, most common problem that you helped ecommerce entrepreneurs with? The biggest problem people come to you with. John: Really, right now, the biggest thing that people come to us for is the buying and selling of their business. We’ve been doing a lot of consolidation, so we have…we’ve been very lucky to work with a group of individuals from Empire Flippers, which is a kind of a brokerage that buys and sells, I’m sorry, facilitates the buying and selling of e-commerce businesses. Through those connections and the introduction to their world, we’ve been working with a lot of people in the sale of their companies, or the purchase of other companies. And that’s been really cool. It’s just been really interesting to see inside those businesses and to see different revenue models, and so we’ve been lucky to do that. So right now, that’s the primary thing that we’re working on in the e-commerce world. Outside of that is, typically, litigation. A lot of that litigation either arises out of infringement issues, which isn’t as common as you might think it is, but also partner issues. Unfortunately, people who are joint ventures, or who’ve created businesses together, don’t often get along over the long term, and so we end up seeing people who sue each other. And, you know, frankly, we’ve been involved in almost five pieces, well, six pieces of litigation over the last three years involving eCommerce companies that were doing substantial lots of money that ended up imploding because of fights between the partners. So, my advice to people out there is if you haven’t looked at your operating agreement lately, make sure you look at it, because that is really what it all comes down to, and at the end of the day, if it’s not up-to-date, there’s gonna be a lot of problems if you get into litigation. Andrew: What’s a problem that maybe isn’t the one that’s super common where you see a lot of people coming to you for help with, but people have a lot of exposure to it? So if, you know, if something does happen on that front today, you know, they’re exposed to a lot of potential damage. Does anything come to mind like the, you know, the tiger sleeping in the closet that you don’t think about until it eats you? You set those terms, so if you, you know, if you’re in that position of power to set those terms, you really need do a decent job doing it. Andrew: When you say…Sorry to interrupt, John, but when you say “Terms of Service,” do you mean like the Policies page of somebody’s eCommerce, something like that? John: Yeah. Yeah, absolutely. Basically, things like choice of law, or disclaimer of warranties or product liability, those kind of traditional legal things that we can show by contract, a lot of people don’t think about. Unfortunately, when you get in litigation, the first thing that we look at is well, what did the contract say? And if the contract says, for example, you know, you didn’t disclaim liability, then all of a sudden, now you’re liable because the grill that you sold them caught their house on fire. Andrew: So, if somebody buys something off of your site, are they legally agreeing to the terms that you have on your policy page if they go through with the purchase even if they haven’t visited that page to read through them? John: It depends on what the agreement says. So, there are two levels of agreement. There is what is called The Browser Wrap Agreement, which means that the if the little link at the bottom of the page that leads to the agreement says that by browsing this website you agree to these terms, then yes, a contract’s been formed. In most states, that’s sufficient. There are, however, some cases in which it’s not sufficient, so a lot of times what people would do is they’ll have The Clickwrap Agreement, which is the clicking of the “I agree” button as you make a purchase, or you operate your way through the website. Those are, actually, almost 100% enforceable, yeah. So, if you have to control the terms of a transaction, Click Wrap Agreement is preferred, but a Browser Wrap agreement sometimes works as well. But the short answer is yes, those are the things that control your relationship with your customers. Andrew: Wow. I’m guessing we could probably do an entire episode on what to put on that, you know, policies page given that we don’t have the, you know, kind of the time for that and I’ve had you on for a long time already, two or three things that you would recommend people thinking about to explicitly put on that policies page that could maybe protect them from a lot of the real obvious, catchy or liabilities? John: So, if your clientele is primarily in another jurisdiction and you are selling a high value…another jurisdiction meaning another country, and you’re selling a high value product, make sure that your choice of law clause says that any claims are subject to arbitration, and that that arbitration is had under the New York Convention. The reason for that is because when there is a conflict of laws situation, a lot of times agreements aren’t enforceable, and so the way to get around that is to use a treaty called The New York Convention, which makes the enforceability of arbitration agreements or agreements to arbitrate, valid in almost every country in the world, including in places even like Vietnam. Not that Vietnam has anything wrong, it’s a beautiful country, but typically, you would not associate it with, you know, established legal system that would have signed a treaty of the sort, but it has. So, it’s a great way to control foreign purchases and foreign transactions without having to spend money to go over to a place like Vietnam and litigate a case there. I use Vietnam as an example because we’ve actually had to enforce an arbitration agreement there. The other thing that I would look at is the disclaimer of warrantees, and the limitation of liability. Both of those are important clauses. In some cases, if you’re a products-based business and you don’t have a reasonable limitation of liability or disclaimer of warranties, you can be held liable for things that happen to the use of your product. A lot of people don’t take product liability seriously on the internet because it seems like the Wild West, but it is just like any other traditional retail store, something that you need to take seriously. So, those terms should be scrutinized very closely. How Legal Is It To Bid on Brand Names? Andrew: Interesting. So, maybe just as important as a private liability insurance policy is, is getting your terms and policies in place on your website. What about advertising as brand names in PPC, you know? So, like I’m thinking Ad Words, Facebook, Amazon PPC, can I bid on brand names, or even skews, or product names for other products? Does it depend on the level of the trademark or the copyright? What’s legal and what’s not legal there? John: The typical answer to this in the modern world, modern world meaning within the last five years, as opposed to 10 years ago, which is not the modern world. I don’t know what I’m saying there, but the answer is that if you bid on a keyword but you do not display the keyword in the ad test, excuse me, an ad text, then you will avoid trademark liability. That’s generally the rule in most jurisdictions. Some jurisdictions have said that the use of the keyword to trigger a ad for PPC purposes could also subject somebody to liability, depending on whether or not there’s the likelihood of confusion. But I think that those jurisdictions are probably outliers, so as long as you’re not using the keyword term in ad text, I think you probably are pretty safe now. Andrew: Interesting, because I had an experience where I had a product on Amazon, and I bid on an Amazon PPC term for an ace or the skew with a product name of a similar product, it was a competing product, and the seller of that product actually found out very quickly, and I felt the company owner, from an ethical basis, I didn’t feel like it was an unethical thing, but he found out, alerted Amazon, and my product actually got disabled because of that. John: Yeah, unfortunately, a lot of times companies will not care about the law, and they’ll just disable a product. Google is pretty good, though. Google, typically, will not respond if the mark is not being used in the ad text. Some slip through the cracks. Other times, if a client comes to us and says, “I still want it down. It’s not being used in the ad text, but I don’t care,” we’ll send a demand letter directly to the party that’s triggering the keyword, and that will force them to take it down, just to leverage. Andrew: Interesting. I wanna check, quickly, about Internet Minimum Advertised Price, in general. And it’s just something I’ve always wondered about, is when you have MAP pricing, what is the actual law? Like can a manufacturer, if I make a product, can I mandate a minimum price that somebody sells it by? Is that something I can legally do and go after people, my distributors or even other people if they don’t? Or is, really, the only way that I have to control that is to be able to control my supply chain and who I give the product to and then if people don’t abide by my MAP terms, then I just cut off their distribution? How does that work? John: So, historically, you could not stop somebody from selling a product at a certain price, and the reason for that, obviously, is competition. There was a case a few years ago under, I believe the Sherman Act, which is an antitrust act, which said that minimum advertised price policies actually enhance competition because they provide an even playing ground for people who have potentially disparate bargaining power. For example, if you’re a local retailer, you can sell at the same price as Amazon because, obviously, Amazon has more bargaining power, and they can buy more bulk. So, the underlying idea behind MAP policies and the laws surrounding them is that they do increase competition and therefore, are not an antitrust violation. Price controls, many per se price controls, are illegal. So a company cannot tell you, “You can only sell this product at this price,” but what they can do is they can force you to advertise at a certain price. And that’s why you see “Click to Add to Cart.” That’s kind of why that stuff came about. So the general rule is if you are in a contractual agreement with a manufacturer or distributor, they can set the terms for the advertising, but they cannot set the terms for the price at which you’re selling that product. Andrew: Interesting. But they can, legally, cut off your…choose not to distribute to you, or provide you with product, if you do sell below the prices without any kind of legal liability, is that right? John: The short answer is, yes. But it would depend on how many market outlets there are. So, if somebody said, “We’re not gonna sell to you at all,” and they were the sole provider of a product within a market, it might trigger antitrust law. I don’t wanna get too much in the weeds, but I think the general answer is, yes. If it’s a healthy market and there’s competition, and they don’t wanna sell to you, they don’t have to sell to you. Andrew: So, if you’re a manufacturer, they have a brand, they wanna protect their margin, I’m guessing this is what you were gonna say, but I wanna run it by you. Either selling just direct, or really limiting the number of people you’re allowed to sell your product is a much easier way to do that than trying to fight a MAP battle with a much larger network of distributors. Is that something that’s…usually pretty hard to enforce MAP if you have a, you know, the more distributors you get? John: Yeah, it’s hard, and especially hard because you never know where the product coming from. We’ve had clients that say, “Oh, they’re violating our MAP policy, what are we gonna do about it?” I always say, “Well, can you somehow tag the items, or create some identifying tag or code that allows us to see where the item is being sent from, or a serial number, or something along those lines?” It’s really difficult. Once you get to a large scale map problem, products are coming from everywhere, it’s really difficult to control your supply chain, and it’s an ongoing problem. We have large, publicly traded companies that have this problem, and they’ll complain, and, you know, honestly, there’s really nothing we can do about it. It’s just stuff that has to be controlled in some other way. Andrew: What about cybersquatting? Let’s say you’ve got, let’s use Revision Legal, for example, your business, of course. Let’s say you’ve got the business, you’re up and running, and the domain name, revisionlegal.com, is owned by somebody who has just been sitting on it for 10 years. You’ve got the registered trademark. When, if at all possible, can you kind of take possession of a domain that somebody is squatting on when you have a trademark, or is it really difficult to do? How does that work? Because I know a lot of people, this is something that comes up all the time with people. John: So, I’m in this little world of domainers. I’ve been in it for, let’s see, seven years now. Domainers are people who buy and sell the domain names as an investment, and they speculate about generic and descriptive terms. So, I know a lot about this area, and there are, really, two ways to kind of recover a domain name if you’re a trademark owner. One, is under the Uniform Domain Name Dispute Resolution Policy, or what we call the UDRP, which is an arbitration policy that is contained within the registration agreement that you agree to when you buy a domain name from, for example, Go Daddy. That agreement says that you will not abusively register a domain name. Basically, what that means is that if a third party trademark owner believes that you’ve registered a domain name abusively, then they can file a arbitration proceeding with either the World Intellectual Property Organization, or the National Arbitration Forum. That’s about a two month process. Basically, what they need to prove there is that the domain name is identical or confusingly similar to your trademark, that the registrant of the domain name does not have rights or legitimate interests in the domain, and that it was registered in bad faith. Andrew: The last part, I’m guessing, is probably difficult to prove. John: Yeah, that’s the key. So, bad faith typically means, in the domaining world, that the website is diverting users from the trademark holder’s online location. Bad faith, under the UDRP is conjunctive, meaning that the bad faith had to exist at the time of the registration of the domain name. Now, there’s a second way to get a domain name back, and that is under federal law. Under the Anti-cybersquatting Consumer Protection Act, the ACPA, you can recover a domain name if it was registered and used, excuse me, registered, used, or trafficked in, with a bad faith intent to profit. That means that if bad faith occurs after registration, so for example, I’ve got a domain name, and then all of a sudden, I start using it in a better way once I realize you have a trademark, then that can be recovered in federal court. The ACPA also has a huge damages amount associated with it, so if you are found to be a cyber-squatter, you can be held liable for up $100,000 per domain name. So, it gives trademark owners a big, like I said before, another big stick to go after potential entrenchers. Andrew: What if I’m not trying to profit from the mark, I’m not trying to necessarily get people who search for Revision Legal to come to my site, and I’ve got all of these, you know, I’ve got some Ad Sense running there and so I siphon some of your traffic off? I’m not trying to hurt you, I just bought it as a, you know, an investment. I like the domain. I think it’s a great name. I don’t wanna sell it to you. Is that something that, if they’re not trying to intentionally hurt or divert your traffic, do you still have a case or a standing to be able to try to reclaim that domain if you own the mark? John: Potentially. It depends on whether or not there’s a pattern of doing this. So if there is a pattern of warehousing domain names in an attempt to sell them back to the trademark owner, that would be an indication to a court that the domain name was registered in bad faith, or used in bad faith. With that said, there are people who register domain names, like I said before, as investments. They register generic and descriptive terms. I have many domain names that are generic or deceptive. And sometimes you just run into another trademark owner’s rights because, you know, you’re acting innocently, and that’s just the way the world works. In those cases, they have viable defenses. There are a number of potential incentives from the domain owner’s side such as reverse domain hijacking, which is under the UDRP, or potentially, cost in attorney’s fees under the Anti-cybersquatting Consumer Protection Act, that act as a disincentive for people to file frivolous lawsuits. So, it’s kind of balanced, and the law typically deals with bad people correctly in this area, I think. Andrew: Here’s another one we could do an entire episode on. We’ve done lots episodes on the show about hiring people: finding great people, building a team, haven’t done any about firing people. You know, unfortunately, when you have to remove people from your team. I understand this varies from state to state, but how often do you see business owners facing lawsuits for wrongful termination? I think a lot of people…I’ve got a friend right now who’s going through this, he’s got somebody in his business and is just not a good fit. He’s worried though, of letting him go because he’s worried about a lawsuit, so he’s trying to figure out how to do this. How much of a risk is it for business owners? And what can people do to protect themselves when they do need to fire somebody? John: So, these kinds of laws are state-level laws, which means that I can kind of talk generally about them, but you’ll have to look at your own state’s laws here and determine what the actual laws are there. In Michigan where I am located, or in Illinois where I’m barred, typically, most employment is going to be at will employment, which means that anybody can be fired for any reason, at any time. Where you run into problems is if there are potentially claims of sexual harassment, or some kind of wrongful termination, or violation of rights. And those are very scary to business owners because business owners who are sophisticated know that these are fact-based questions, meaning that you have to go to trial on them, which is very expensive, and ultimately which could potentially result in a large jury award, because juries oftentimes favor employees. Therefore, a lot of employers will settle them out. So, typically, what we advise employers to do is to make sure that their employment agreements are good, and that they’ve been reviewed regularly, and then just kind of general business stuff. Just document things that go wrong. Make sure that you have written documentation. Make sure that if there are corrective actions that those are sent in writing. Just really general stuff that if you do find yourself in litigation, we can get you out of it pretty early because we can file an early motion to dismiss based on the evidence that you’ve already, or the groundwork that you’ve already done. That’s probably the best tip that I can give. Andrew: So really just be able to document in writing or some other way, the problems that are happening, and the fact that they’re not getting resolved? John: Yeah. A lot of, you know, we’re busy. Entrepreneurs are super busy. I don’t have time to even work on my business sometimes, and I’m an attorney. But it’s so important, because if you don’t work on these processes, you’re gonna find yourself in the position we’re gonna lose a lot of money. I’m telling you this because as an attorney, I often look at…I’m handling an employment case now. It went all the way up to Michigan Supreme Court, came back down again, massive, massive liability. So, I’ve been on all sides, and I think it’s important to just document, get your processes in line, and if you have questions on processes, go to the eCommerceFuel forum and talk to people, because other people are doing it and they could probably share some of the stuff that they’re doing. Andrew: You help companies to incorporate, and I’m guessing, you know, especially for let’s say, $2 million to $10 million store owners or entrepreneurs, LLC or an LLC tax is in S Corp if you’re making enough to make that S Corp election, help you save money on the payroll tax. This is probably the best bet for, I’m guessing, most people in that wheel house. Is there any strong reason to really consider any business structure apart from those two, either go on the low side? I’m guessing not. Like sole proprietorship, or go all the way up to C Corp? John: No. So, generally in law school now, they only teach LLCs. They’ll teach corporations a little bit, but LLCs are such a great and pliable business entity that there’s usually not a very good reason to move to another. The time when a corporation starts to make sense is when you get really, really large, or you’re taking on investment from sophisticated investors. So, if you don’t have to, let’s say for example, give preferred stock to somebody in exchange for investment, if there are convertible debt notes, then that might make sense to convert to corporation. But even those types of things can be handled fairly easy within an LLC, so the general rule is if you are a smaller business and you don’t seem to be positioning yourself for acquisition or to take on venture capital within a short period of time, then an LLC is the way to go. Ultimately, if you do find yourselves in those positions, then you can, in most states, convert to a corporation, or undergo some kind of plan of merger that would allow you to do so. Andrew: I think people who have been listening to this series probably are getting a pretty good sense of the kind of stuff that you do, but can you talk about the kind of services and expertise, and things you help store owners and entrepreneurs with as you and your team over at Revision Legal? John: Yeah, sure. We have a crazy client base. We handle everything from startups, so like from the LLCs to corporations, those types of things, operating agreements, employment issues, all the way to kind of sophisticated IP litigation. We represent kind of a wide client base. We have everyone from small single person entrepreneurs, all the way up to publicly traded companies in foreign countries, do a lot of travel. Typically, our practice areas are at the intersection of technology and law. We like to call that “Internet Law,” which means absolutely nothing, but it’s a wonderful search term so, you know, that’s what people look for, and that’s why we call ourselves that. Andrew: You know your lawyer is a solid one in the online space if they’re optimizing their business around the most searched term. Andrew: That’s a good indicator. John: And that’s the world we work in. We do affiliate marketing agreements , we do, geez, cryptocurrency stuff. I’m handling a big cryptocurrency lawsuit right now. Basically, anything that touches technology, we’re into. Patents as well. Andrew: Man, very cool. And I just wanna thank you again, for everything. In the eCommerceFuel forum is where you remember you’ve added just so much value. You’ve got a running AMA thread, the members there when they ping that you’re phenomenal about diving in and helping out. So, if you’re in the forums, you’ve almost certainly seen John, and I know I speak for myself and a lot other people when I say “Thank you,” because you’ve been tremendous in there, so. John: Yeah, no worries. Keep the questions coming too, I like it. I always check after my daughter goes to bed, so it gives me something to do. Andrew: Well, getting ready to wrap this up, but before we do, I’d love to do a lightning round with you, so if you’re up for it, I’m just gonna give you some questions, and feel free to just give me rapid fire answers right back, you got me? Andrew: So, if you had to identify the number one thing you’re trying to optimize your life for right now, what would that be? John: I, well man, I wanna work less. I have, like every entrepreneur, I work really long hours. I usually put in about 15-hour days. So, I’m taking some time to step back and work on my business instead of work in it, and I have been lucky to add some new people, add some new faces. And really, I think we have got like an incredible team, one of the best in the country. So, that’s what I’m focused on this year. Andrew: Nice. Your favorite lawyer TV show or movie. It could be anything from “Suits” to “Law & Order,” to some offender. John: Lawyer shows make me anxious. I can’t watch them, because I start to get really angry, or really anxious. I would say my favorite lawyer movie is “Anatomy of A Murder,” which is a auto prime injure movie set kind of in the 20s. It was a book written by John Voelker, he was a fly fisherman and a Michigan Supreme Court justice. And it’s one of those movies where the lawyer says something along the lines of, “I’m just a poor country lawyer.” So you kind of get the tone of what it is. It’s an old black and white movie. I kind of enjoy it. Andrew: Nice. Who is someone you strongly disagree with? John: Bezos, Jeff Bezos. I don’t think his vision of the economy is matching mine. Actually, I think the thing that I would say is that I disagree with people who believe that Amazon is more beneficial to the economy than Wal-Mart. And that’s a really controversial statement, but it’s something I’ve been thinking about a lot lately. Andrew: Interesting. And this is the lightening round, so maybe I don’t have too curiosity, but I have to ask a follow up, what is it that the Amazon does that is more detrimental, you think, than Wal-Mart? John: Their shareholders are subsidizing losses. I think that Wal-Mart pays property taxes, employs more people, despite being at lower wages, I think still provides a little bit more value to society than Amazon does. And I’m concerned. I’m concerned about the small store owners. I think Amazon is subsidizing…they’re just, like I said, their shareholders are pushing smaller store holders out, and I’m worried about the ecommerce base because of it. John: That’ll never happen. Money doesn’t feel me. I hit a seven-figure milestone this year, and I thought that would be kind of the moment where I said, “Okay, this is it,” but it’s not. And it doesn’t make me happy. What makes me happy is kind of waking up and finding new interesting things every day. Andrew: What’s the worst investment you’ve made the last 10 years? John: I bought a sailboat, and it is, definitely it’s something. It is a hole in the water that you throw money into, which people say and I always used to say that’s stupid, but no, it’s 100% true. I love it. It brings me ton of enjoyment, but it’s a complete waste of money, and I always wonder why I’m putting it in the water for a season that lasts at most, two months in Michigan. Andrew: That’s fun. It reminds me of my van. Lots of enjoyment, one of the worst financial decisions I’ve ever made. What’s the best investment, apart from your legal business, that you’ve made in last 10 years? John: I would say my daughter. Like, return on investment-wise, not monetary, but just like pure enjoyment, I would say that would be number one. Number two would be my house. I bought my house at the bottom of the market in 2009, and it’s gone up in value, so I’m really happy with that. Andrew: And finally, to cap this off, if you’re brave enough to share, what was the first CD you ever owned? John: So, CD or tape? Does it matter? So, specifically CD, I’m assuming, right? Andrew: Let’s do both, because it will increase, hopefully, the embarrassment factor here. John: Tape, New Kids On The Block. Andrew: Beautiful, I was worried about that. It’s horrible, right? Andrew: That’s the essence of it. Definitely, New Kids On The Block has to beat there on Aerosmith. Andrew: Mine are just as bad, so don’t feel bad. John, this has been awesome. I mean, you being willing to let me, you know, really just grill you for, you know, the time I have, and your insights on this are just fantastic. I mean to be able to talk to you on all these different issues is super helpful, super interesting. And I’m sure people got a lot out of it, so thank you so much for being willing to do this. Thanks for again, everything in the forums. If you’re listening and you need help with any of the stuff we’ve been talking about, patents, trademarks, copyrights, really, anything related to IP or the online space in a legal realm, John and Revision Legal, they’re phenomenal. So, make sure to check them out. And John, thank you so much for being on. Andrew: That’s gonna do it for this week’s episode, but if you enjoyed what you heard, check us out at ecommercefuel.com, where you’ll find the private vetted community for online store owners. What makes us different from other online communities or forums is that we heavily that everyone who joins to make sure that they have meaningful experience to contribute to the broader conversation. Everyone who we accept has to be doing at least a quarter of a million dollars in annual sales on their store, and our average member does seven figures plus in sales via their business. And so if that sounds interesting to you, if you wanna get, you know, connected with a group of experienced store owners online, check us out at ecommercefuel.com, where you can learn more about membership as well as apply. And I have to, again, thank our sponsors who help make this show possible. Klaviyo, who makes email segmentation easy and powerful. The cool thing about Klaviyo is they plan your entire catalog, customer and sales history, to help you build out incredibly powerful automated segments that make you money on autopilot. If you’re not using them, check them out and try them for free at klaviyo.com. And finally, Liquid Web. If you’re on WooCommerce, if you’re thinking about getting on WooCommerce, Liquid Web is the absolute best hosting platform, for three reasons: one, it’s built from the ground up for a WooCommerce and optimized by some of the best industry professionals in the WooCommerce and WordPress space that really know the stuff, and it’s highly elastic and scalable, as well as comes with a whole suite of tools and performance tests to optimize your store.